Located at 1911 - 1915 Belair Road in Baltimore. Is easily accessible by bus (#15 and #13). Its reliable, religious based and education focused for infants to preschool age. Combating adult illiteracy, equipping adults with educational tools for employment, and GED certification. The address of the Digital Technology Lab is 1920 Belair Road, Baltimore, Md. 21213. Our web site is www.powerhousewm.org. We, the members and leaders of Power House World Ministries, would like to thank you in advance for your very kind and thoughtful consideration. Please do not hesitate to contact our Bishop and/or Pastor should you have any questions or concerns regarding this matter. We currently have the space and support to accommodate 16 students. As presented in the photo, we have secured and currently have in place 16 computers desks and chairs, monitors, a building that meets the standards and codes of City of Baltimore, and occupancy permit. We have our security system installed, Comcast Cable WiFi ready, central heating and air conditioning, handicap accessibility ramp, and two large bathroom facilities. We are very passionate about strengthening individuals through education and empowering people with job skills such as, providing Microsoft Office Certification, (Publishing, Editing, Word, Excel, PowerPoint, etc. ), basic typing skills, computer application training, and a broad spectrum of internet and web based training. This selfless service is offered to the general public in the State of Maryland and abroad. We are currently licensed by the State of Maryland to open our education facility, grades Pre-K through 12th grade, which is also in the planning stages. 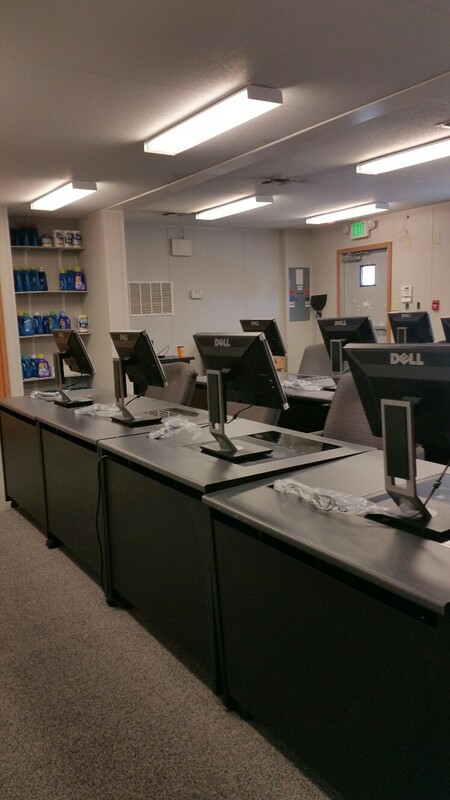 However, our Digital Technology Lab is a significant part of that process. Bishop James A. Winslow, Jr. – Licensed and Ordained to teach academic and biblical studies. Graduate in Biblical Studies, Baltimore School of the Bible. Pastor Nancy R. Winslow – Licensed Ordained in biblical studies, Computer Certified in MS Office and various other computer hardware and software programs and applications, with a Bachelor’s Degree in Psychology. Pastor Roger Lyons-Baltimore City School teacher for aprox. 10 years, in good standing, also licensed and Ordained in academic and biblical studies. God has blessed us with a persistent track record for assisting others which extends well beyond those in our congregation, but to those in the community as well, since 1954. Therefore, it is with great humility and compassion that we solicit your support in achieving this goals.